I had a double celebration this week which really boosted my mood. 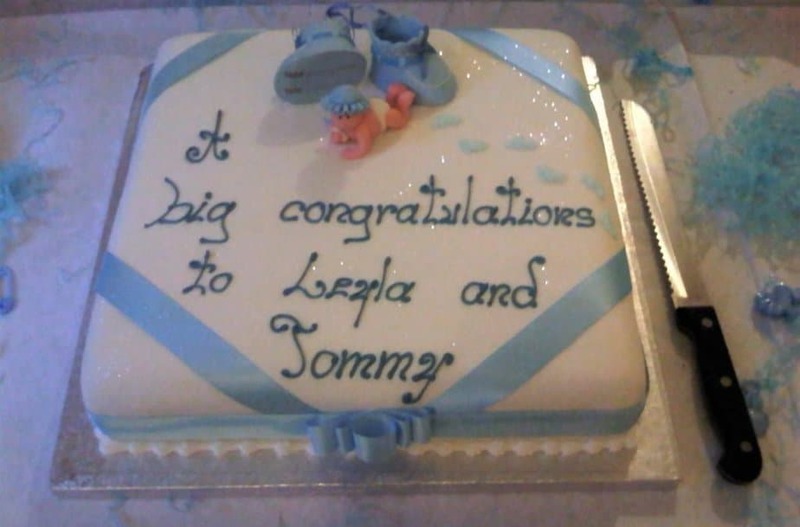 My friends and sisters had thrown me a lovely surprise baby shower, which was so nice of them – I felt so loved. A few of my friends turned up too and brought me such nice gifts for the baby. We ate plenty of food and enjoyed ourselves with lots of pregnant banter and talk about kids and growing up. The cake was delicious and the party really perked me up – the two celebrations have definitely put me on course for a much better mood. The flat is coming along nicely now. The flooring is almost complete, which is great so that we don’t have to deal with dusty concrete floors anymore. And, finally, the engineer came to fit the internet which I was particularly happy about as it had got so boring without the internet at home. I didn’t waste any time and immediately got down to work, catching up on literally hundreds of emails. It felt good to work on my second baby (my blog) again. I had to say, I definitely missed blogging! I can feel a lot of movement coming from my tummy and I can also feel that Boxer is finding it difficult to shift around in there because of the lack of room. I still have a really strong craving for sugar, but I’ve decided that it’s probably just down to the lack of energy at the moment. I also went through a phase of needing roast dinners, so I had three of those in one day, but that craving went as quickly as it came… I still can’t shake off the need for coffee either. Every time I smell coffee in the air, my nose makes a beeline for where the smell is coming from! I thought people were supposed to go off coffee? I’m the opposite! I’ve started to plan the nursery now. 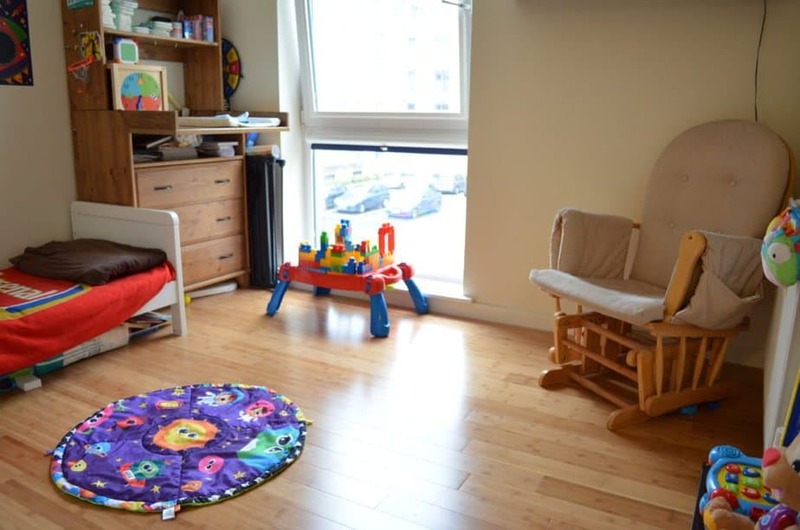 I took measurements for the room and worked out how much everything would cost – about £200 which is not bad as that includes everything, apart from furniture. I’m definitely going to go with the sky and undersea theme and even bought an undersea mural which is going to look awesome as a border around the room. I found out that there is a birth centre literally right next to my flat and the rooms are amazing! I was sold the moment I walked into the place. I was given a tour of the centre – there are six rooms, one with a double bed, and each has a birth pool (which is huge by the way), a toilet, a shower and a bath. Each room even has a TV, candles and radio! I’m definitely aiming for a water birth in one of these holistic calming birth centres – I hope Boxer complies! I went to my new GP to have a check-up with the midwife at a children’s centre down the road from me. They spotted some nitrate in my urine, but they reckon it may be a tampered sample as I am not displaying any symptoms of a urine infection. So they just told me to go home and drink plenty of fluids, including water and cranberry juice. I drink about 2 litres of water a day so I’d be quite surprised if I had a urine infection. The midwife also told me that I needed to make sure the new maternity notes were registered to me before the birth as the birth centre can’t accept another hospital’s notes. Apparently, every hospital has its own way of doing things and their own abbreviations for medical words. So it’s safer if I get new maternity notes from the birth centre that I’m giving birth in. I arranged another appointment at 36 weeks where I may have to take my bloods again if my recent blood test results don’t come through by that time. The unit is going to chase for the results and let me know when they receive it. They also told me that my bump is a nice size at 31cm too. I learned that the size of the bump should roughly be the same as the number of weeks that you are pregnant. It’s a good way to work out where you are in the pregnancy should you ever forget. A fun fact – The baby is about as big as a pineapple! Your baby’s head is as big as celery! You’re still going to feel tightening – or Braxton Hicks contractions – until birth. They aren’t painful but they can happen if you overdo it – so take it easy! Your baby’s bones are hardening too and they’re going through major brain development too for all that learning when they greet the world outside! You’re probably feeling quite uncomfortable now and overheating quite a bit. If you’re experiencing headaches that are down to the hormone surges. But, other factors can be stress and dehydration so make sure you’re drinking plenty of water and taking it easy as much as possible. Don’t worry about the extra ladies’ trips – it’s better than getting headaches and a painful UTI! Baby brain is in full swing now! 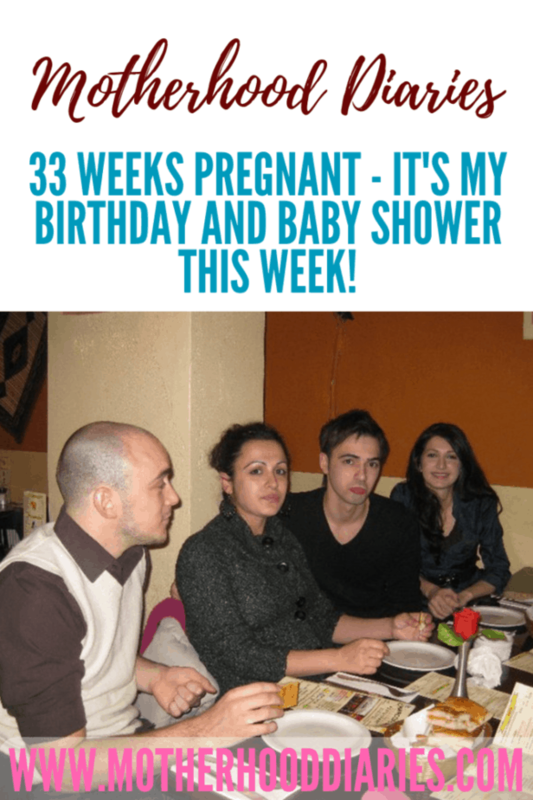 I experienced pregnancy brain with all four of my pregnancies – it’s quite common! Also start reading up on postnatal care, like medication, maternity pads, nursing pads. It may be still another month till you meet your baby, but at least you’ll be prepared for a surprise arrival if baby can’t wait until 40 weeks to meet mummy! Don’t forget to monitor your baby’s movements – any reductions or changes and you need to let your midwife or doctor know ASAP!